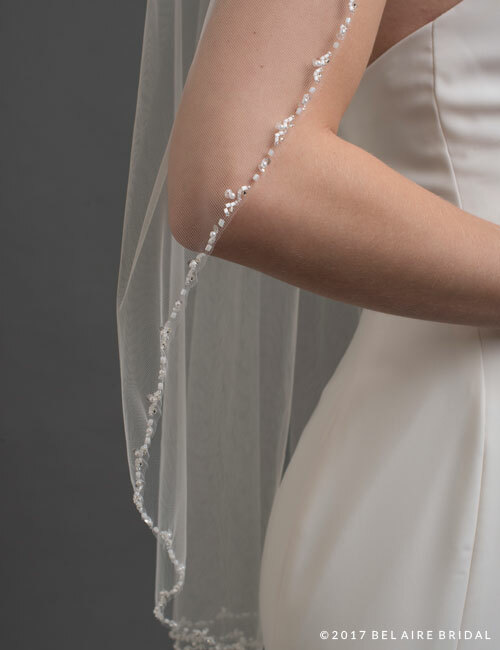 Complement your outfit with a lovely beaded edge veil. A 1-tier fingertip design features frosted beads, tiny pearls, and sequins. This uniquely bridal accent beautifully complements a variety of gowns. Available in diamond white, ivory, or white.